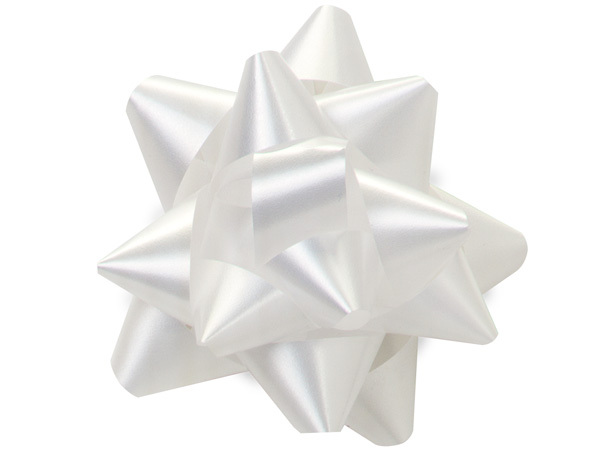 Star Gift Bows are available in 2-1/2" with 12 loops and 1/2" ribbon or 3-1/2" with 13 loops and 3/4" ribbon. Made in the USA. Christmas pre-packed assortments are available as well. Made from poly ribbon.